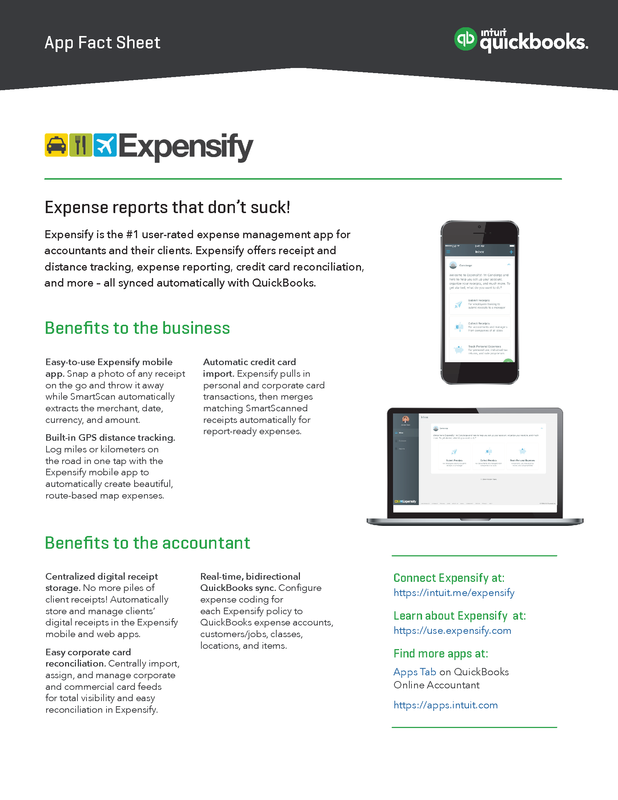 Expensify is the #1 user-rated expense management app for accountants and their clients. Expensify offers receipt and distance tracking, expense reporting, credit card reconciliation, and more—all synced automatically with QuickBooks. Download a PDF version of the fact sheet for review and to share with your clients.